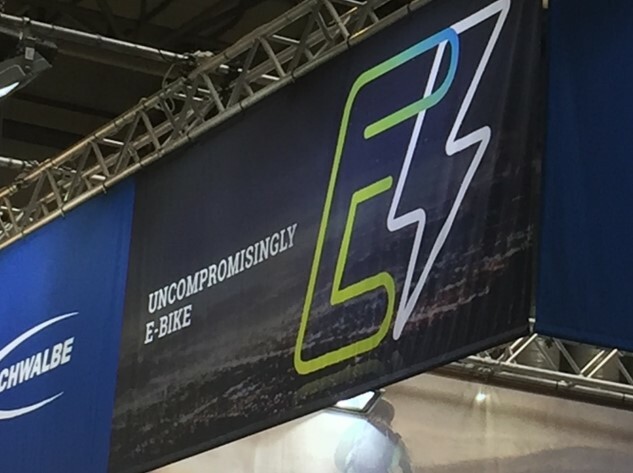 E-Bike P&A - The Cycle Show - USE, Extra, Upgrade and Windwave (1 of 5). 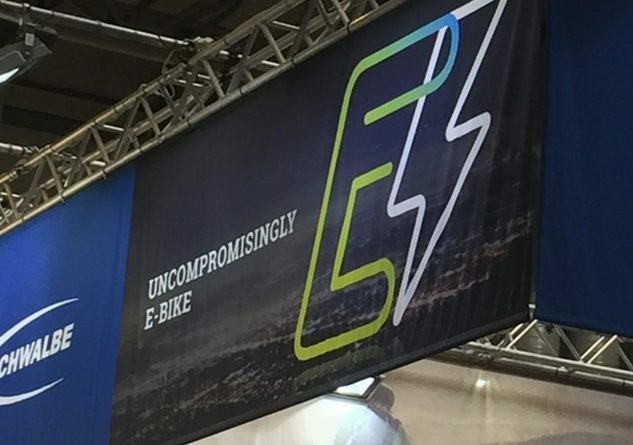 E-Bike P&A – The Cycle Show – USE, Extra, Upgrade and Windwave (1 of 5). We’ve all spotted the rapid increase in e-bike sales and of course many new and unfamiliar bikes arriving in the workshop. Accordingly, there’s been a huge growth in e-bike specific parts and accessories, as well as OEM specific lines. Alongside this comes additional regulatory standards and compliance issues. Especially when it comes to speed Pedelecs – with helmets, lights, tyres and brakes requiring close attention. 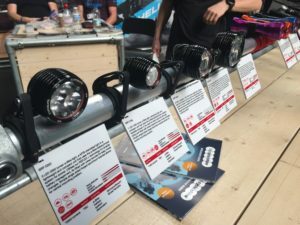 CI.N went along to the The Cycle Show 2018 to see what was on offer from the UK’s wholesalers. 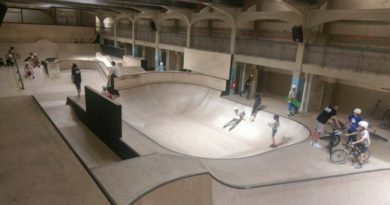 And we discovered… a whole heap of new product and an industry keen to embrace it. In fact, way more than we thought was possible. So here’s article 1 of 5 rounding up everything we found to keep your customers and their e-bikes running happily. We’ve tried to keep it to “e-bike specific” product – although one or two “e-bike focused/friendly” type products just crept into the shortlist. Spotted on the USE stand were these four very interesting Exposure e-bike lights, all labelled “Prototype”. Priced from £190 – £350 and producing up to 3300 Lumens, these stand-alone head units incorporate USE’s 25+ years of experience in the bike lighting field. Available in October in standard lenses and in December for STVZO compliant models for the German market, stores can pre order now. Different wiring kits for Bosch, Shimano, Brose and Yamaha can be sourced from each specific e-bike brand. Run times and power usage is yet to be confirmed, but given the size of the average e-bike battery, it’s estimated to be “negligible”. 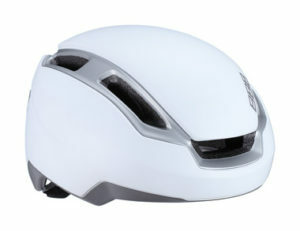 As well as a wide range of chains, sprockets and pads, dutch brand BBB offer their Indra helmet at £89.99. Available in 2 sizes and four colours, it is Speed e-bike (NTA-8776) and cycling helmet (EN1078) compliant and features Venturi channelling for optimum airflow. Meanwhile OEM giant FSA have a range of sprockets, cranks and a new 11 speed e-bike chain. FSA also have a new “Special Edition Product” menu in the Support area of their website, allowing dealers to identify OEM fitted product and request the right replacement parts. While it isn’t limited to e-bike parts, e-bikes often have non standard items. Hutchinson tyres are relatively new to the windwave stable and in October they will add several e-bike certified tyres including the new Haussman and Gotham urban tyres with an e-bike specific tread pattern, compound and casing. Crank Brothers new Lithium MTB E-MTB specific wheelset features twin pair spoke technology, with stronger 2.0 straight gauge spokes, robust steel freehub, and wide reinforced rim profile. At the front end is a 15X110 Boost axle paired with a 148X12 rear and 27.5 Plus rim profile. Weighing in at just over 2Kg, they will be in stock in December and retail at £649.99 per pair. In the Maxxis range, Ardent, High Roller and Ikon all feature e-bike certified tyres, which conform to the European ECE-R75 certification for e-Bikes. 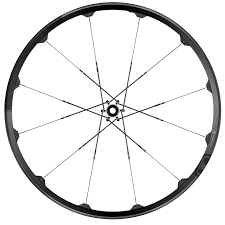 E-bike tyres are towards the higher end of the price range on account of their higher quality construction. For example the e-bike version of the Ardent is £49.99 – the same price as the top of the range ECO TR folding Ardent. Chain manufacturer Wipperman offer a wide range e-bike chains including hub drive specific models within a price of £24.99 to £62.99. 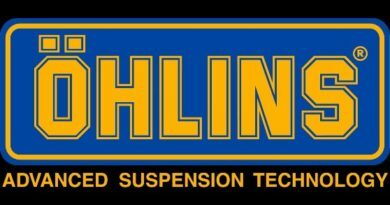 Their e-bike chains feature corrosion resistant coatings and either stainless steel or Nickel rivets. UK Distributor Extra offers an easy link to its selection of e-bike specific products here. Also sporting a new Prototype light were Upgrade bikes with this Lezyne unit. 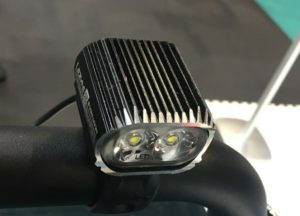 Lezyne Brand Manager, Tom, explained that alongside their Pivot e-bike, Upgrade are very excited by the prospects for e-bike accessories in the UK market. In stock in 4-6 weeks time, the Macro has 1000 Lumens and the Micro 500 Lumens. Pricing is TBC. Like the USE system they are Bosch, Shimano, Brose and Yamaha compatible with dealers advised to source the relevant wiring kit from the motor manufacturer/distributor. 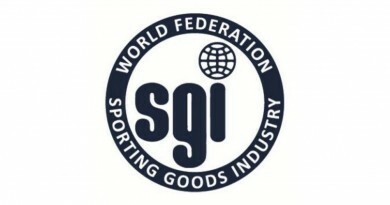 More to come from Zyro, Madison, Ison, Paligap, Miranda, Fibrax, KMC, Hope, Schwalbe, Velobrands, NRG4, MET and Oxford Products.